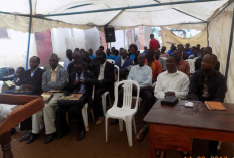 Brother Bill Issa, pastor of Reconciliation Baptist Church in Kampala, Uganda, continues to receive requests for teaching from pastors across his nation. Many pastors seem to be awakening to the errors they have been perpetuating, and they are responding enthusiastically when they hear true biblical doctrine explained. Please pray for Bill as he seeks to discern how many teaching requests he can answer and still care for his flock adequately. "Pastors from all over Uganda who are tired with comedy in the service of the Lord and would like to embrace biblical doctrine keep coming to us for help. One of them is my friend, Pastor Philip Njoroge, from Tororo (Eastern Uganda). He managed to travel with me to Lusaka, Zambia in August for their annual conference, and there everything was new to him. Shortly after returning from Zambia, I traveled to Philip’s town of Tororo (Eastern Uganda) where Sam Smith, our brother and missionary from Pennsylvania, USA, had invited me to go and preach. What a blessing this was for us to speak about the doctrines of grace to a congregation full of Pentecostal and Charismatic pastors! Some pastors fell in love with these biblical doctrines, and one is already planning to come and visit us in Kampala… How Jesus Christ does His work is always beyond our understanding and plans. After preaching in eastern Uganda, we are now busy preparing ourselves to go back to Fort Portal (Western Uganda) in October, God willing, for our second pastors seminar. We had the first one in June this year and we had forty pastors. That first seminar was used by the Lord to ignite the pastors in that region, because we are hearing from our brothers there that we are likely to have more than seventy pastors next month! As you see in the picture, on Sunday August 10th my wife Priscilla was sitting outside because the garage we use for our worship services was full to capacity. 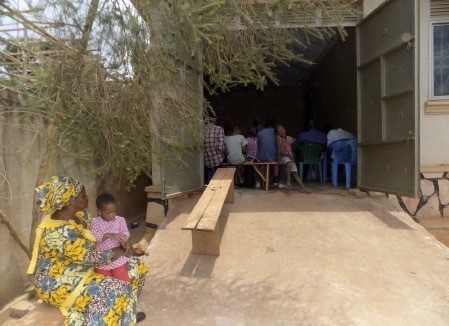 Please, let’s pray together about land and a building for RBC Kampala."